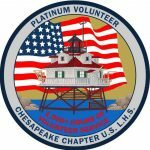 Workday: Historic Ships in Baltimore – October 29, 2016 – Chesapeake Chapter U.S.L.H.S. Greg and Heidi inspect Paint Job. We had seven volunteers on a day that started out a bit chilly but then warmed up nicely. We managed to work thru the task list and ended a little early, heading out about 3 o’clock to a nice sunny afternoon. There was a lot of painting going on this time. The temperature seemed just right for this. 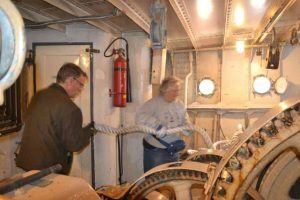 Some volunteers worked down in the Lathe room emptying and then scraping and painting the pipe fitting bins with primer and gray paint. This room is shaping up and becoming quite organized now. I think they want to see if they can get the lathe working. A couple of volunteers scraped and painted around the Chill box in the exhibit room with some Ivory paint. It’s looking a bit better now. 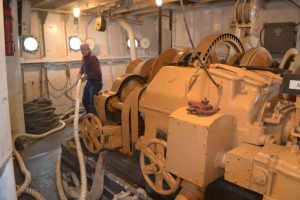 Meanwhile, elsewhere on the lightship the signal light that was given a coat of paint last time was given a second coat of paint this time. Then there was also more painting to be done in the fidley as areas still needing attention were given a coat of white paint and some areas were touched up. We were without a long latter, so the upper reaches will have to wait until next time. There was other non-paint related work though. 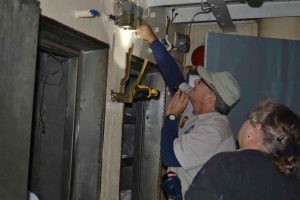 The air conditioning unit was winterized. Some scrap lumber was broken down and removed. Then it was all hands on deck when we moved the 1000-foot rope from the Chain lock in the lower level to the Anchor Windlass room. 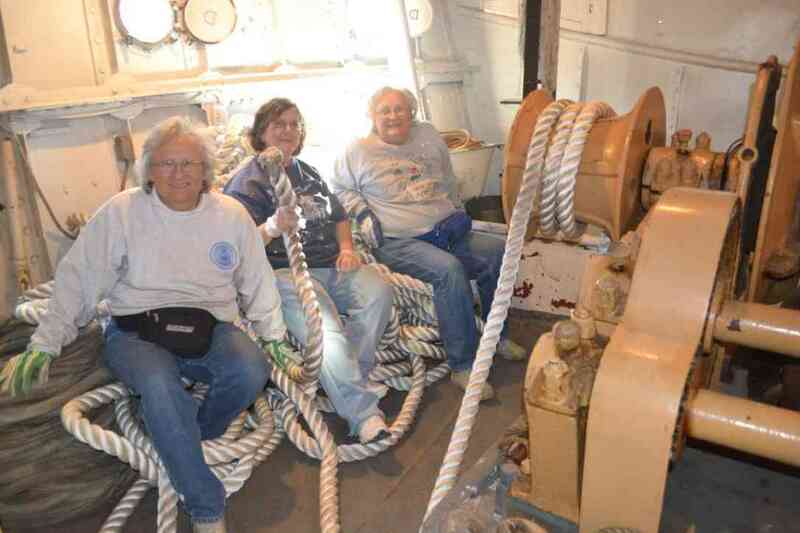 That is a lot of rope, and it gave us a decent workout. Once we got it all in there, a smaller crew tried to straighten it up some. 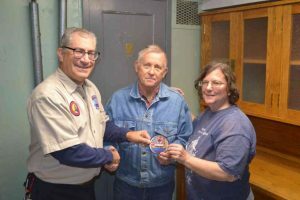 After we finished lunch we presented Hobie Statzer with his 1000+ Hour volunteer patch.Way to got Hobie, you’re making the rest of us look like slackers! Thanks for all your hard work. Or next workday will be in November where we have already planned some of our tasks. We will put up the annual holiday decorations as well as ….. painting! 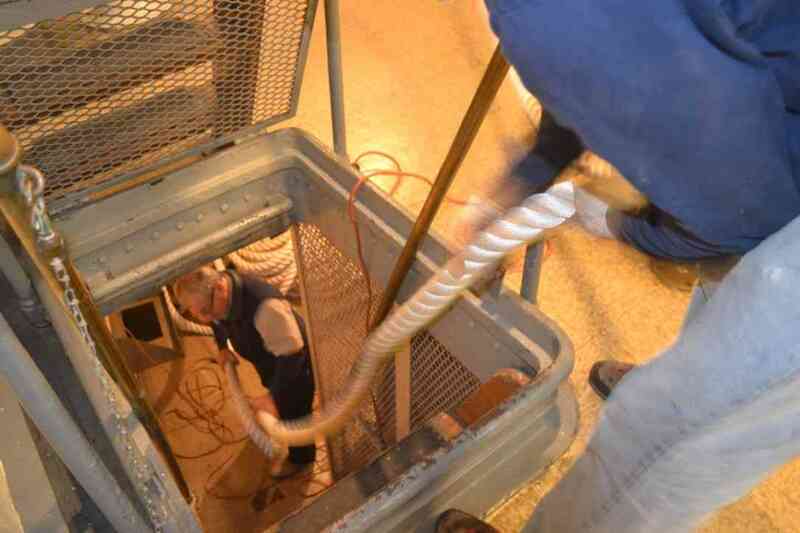 Greg hauling rope from below. Andy and Lauren hauling rope. Hobie stacking rope in Anchor Windlass Room. 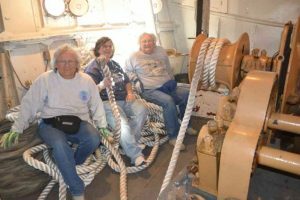 Lauren, Paula and Anne on rope in Anchor Windlass Room. 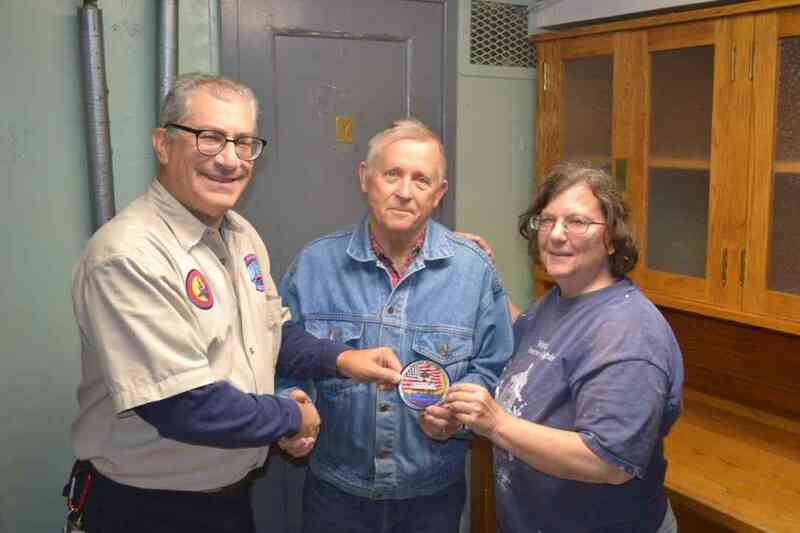 Hobie receives his 1000 hour volunteer patch from Greg and Anne. 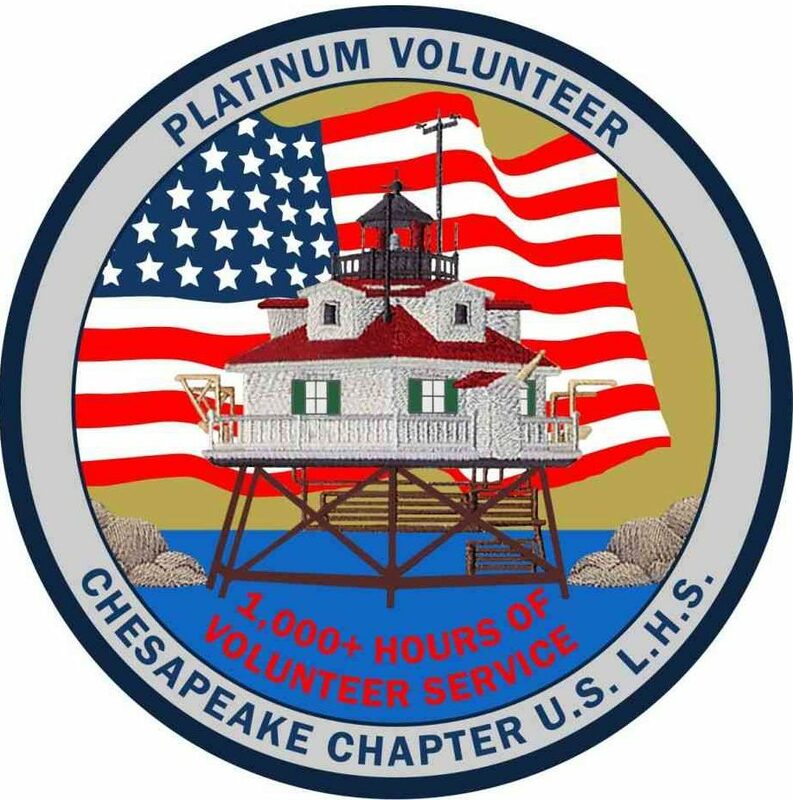 Platinum Volunteer Patch for 1000 hours of volunteer service.